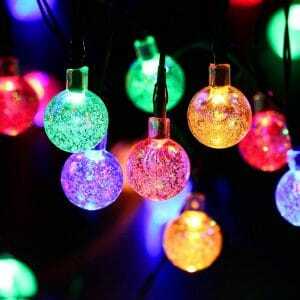 MagicLux Tech 30 LEDs 21-Feet Outdoor Globe Solar String Lights sells on Amazon. I think the price is very good. Please read some of the reviews and see what people thought of the product. Do check how you might qualify for a free shipping offer if available. Save CAD$2 with code PSTO5XFZ.Solar Powered, Long Time Working – let the solar panel face sunshine directly during the day, the lights will shine automatically at night for 8h. Easy to install & operate – the solar panel can be easily installed. One button’s for power on/off and the other is 8 mode controlling(steady, flashing, twinklek, light fading gradually…). 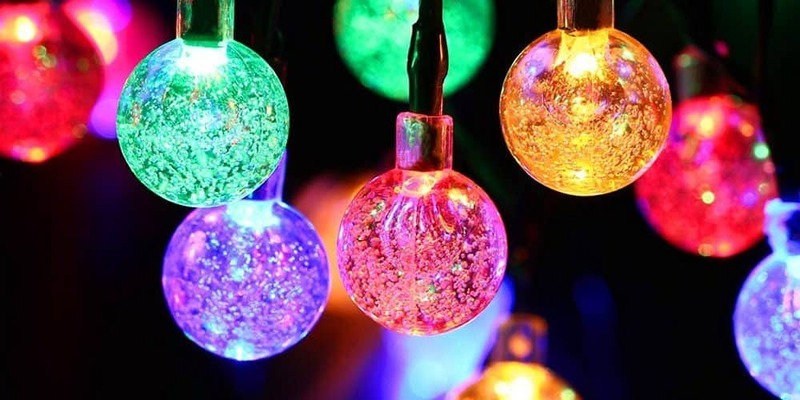 Romantic lighting effects illuminates during night, ideal for decorating your gardens, Christmas tree, party, patio, lawn, porch, gate, yard, etc. Energy-saving and , with high-tech solar panel, is charged by solar energy, there is no electricity cost, no battery replacement, .